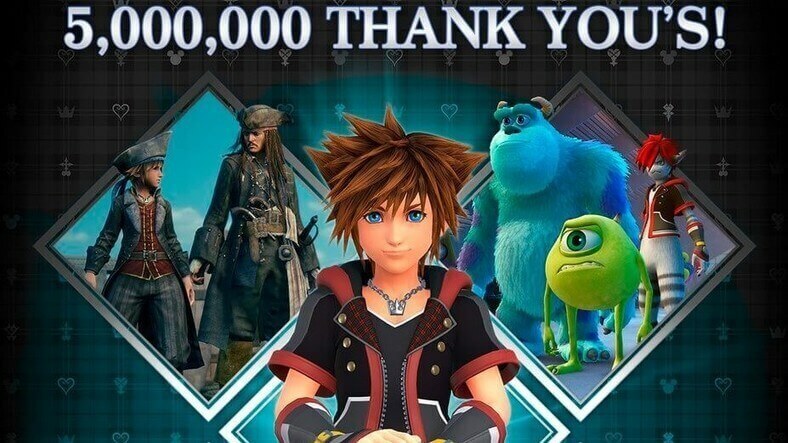 Square Enix has just announced that they have shipped over Five Million Units Worldwide of its new action RPG game Kingdom Hearts III, which is a new entry to the Kingdom Hearts Series made through the joint effort of Disney and Square Enix. The shipped units of Kingdom Hearts III include both digital and physical copies of the game, across all platforms since the release date January 29, 2019, which also makes 'Kingdom Hearts III' the fastest selling game in the history of the series. KINGDOM HEARTS III tells a heartwarming story about the power of friendship and light vs. darkness, as players follow a young Keyblade wielder named Sora, who is joined by Donald Duck, Goofy and his friends to protect the universe from an evil force known as the Heartless. Set in a vast array of worlds including but not limited to Walt Disney Animation Studios’ Frozen, Tangled, Big Hero 6 and Hercules; Pixar Animation Studios’ Toy Story and Monsters, Inc.; and Disney’s Pirates of the Caribbean, Sora and his friends unite with iconic Disney and Pixar characters to overcome tremendous challenges and persevere against the darkness invading their worlds."